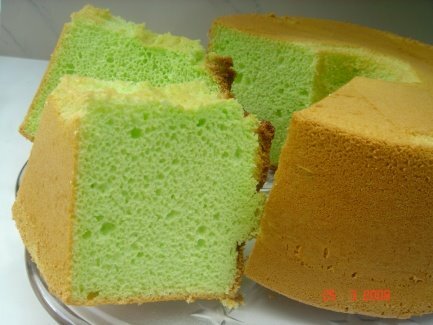 One of the cakes that I really really miss being in USA is the Pandan Chiffon, which is really strange because it was not really a favorite of mine while I was in Singapore. 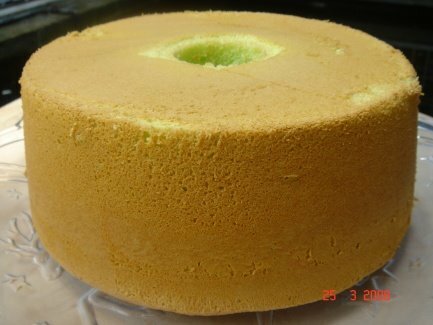 In case you didn't know, the Pandan Chiffon is incredibly hard to make (at least for me), its almost entirely made of egg whites and is so delicate that any little jostle will cause it to deflate, exactly like a Soufflé. Also, Pandan essence isn't readily available at the local grocery store. Its light fluffy, and goes very well with a glass of milk. ***drool*** Its one of those foods that you don't give a second thought to when its readily available but now that its almost impossible to obtain, I crave it every so often. One of the hottest games to appear in the past month is Audiosurf. It's really a very fun game, essentially, it plays any music you have stored on your computer and turns the track into a visual roadmap like the one seen below. As the song progresses you collect more tiles of the same color, create combos, get more points. This part of the game is more like Tetris, except the speed of the game is the tempo of the song. Its fun and addictive because you're choosing songs that you enjoy (else why would it be on your PC) and dynamically creating a unique track. I highly recommend it to everyone especially since its only $10. Download the demo from Steam and give it a try. Sadly, with most of my songs coming from Musicals, they tend to be on the slow side. But thankfully ABBA plays very nicely. 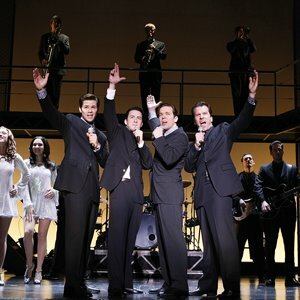 On my last visit to New York City in 2006, I watched the Tony Award winning musical Jersey Boys and LOVED IT!!! OMG I cannot rave enough about this musical. Its perhaps the only musical that by the end of the show, I was actually swaying my legs and arms to the encore numbers. I'm asian and repressed, this does not happen often. 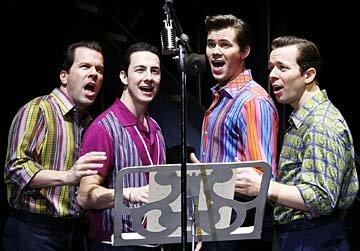 Jersey Boys is actually an semi-autobiographical story of the Four Seasons told from the perspective of all 4 members. Well it finally came to the Twin Cities and I of course had tickets to the first night of the musical and its still wonderful. Having been fortunate to watch the original broadway cast, I of course made comparisons some favorable and some not so favorable. But by the end of the show I was again, swaying my arms and legs. The music really is that good. I will admit however that while Christopher Kale Jones who plays Frankie Valli on the National Tour of Jersey Boys is good, John Lloyd Young the original Frankie Valli on Broadway was Phenomenal. I was also impressed with Andrew Rannells' performance, who plays the part of Bob Gaudio. He's definitely an upcoming actor to watch out for. If you've never seen Jersey Boys I highly recommend it, especially if you like the music of The Four Seasons. You'll have an amazing blast. And you know what? This also reminds me, it just might be time to take another trip to New York City for another Musical/Theater weekend. One of the most fun new TV series this season is Eli Stone. It has not gotten much publicity because its different, but very very fun. 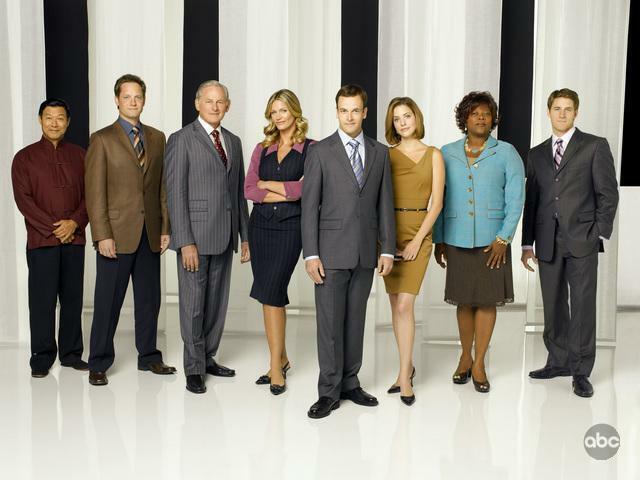 The show is about a very successful lawyer called Eli Stone who discovers that he has a brain tumor. A side effect of this tumor is that he see and hears visions. In the first few episodes its mostly musical numbers which are pretty darn funny, and in all cases we find that there's a greater meaning to the visions. The whole series is pretty funny, I highly recommend this series to everyone. I hope that it makes it to a season 2. Here's a few clips from the first few episodes. 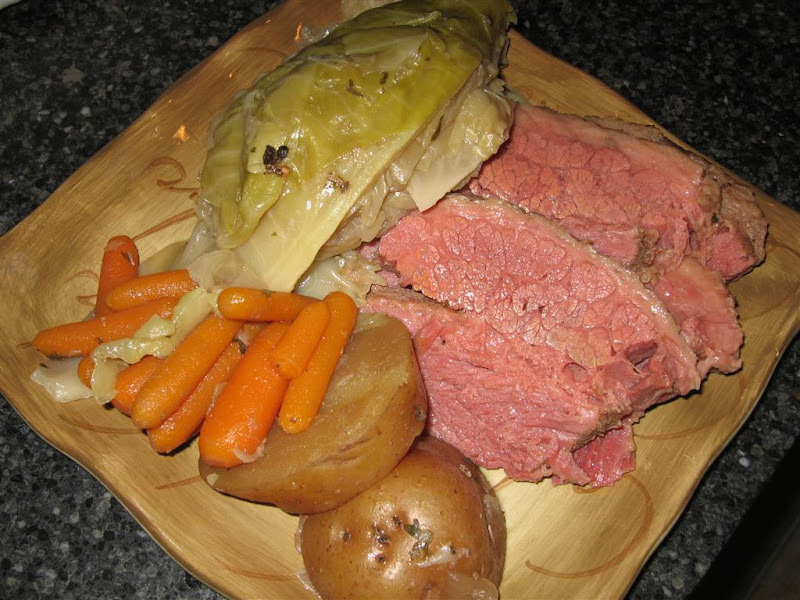 Today is St. Patricks Day, so this past weekend I cooked up Corned Beef and Cabbage. I got the recipe from Epicurious. I followed it fairly closely. I left out the thyme and used dried parsley flakes and peppercorns. Salt to taste. 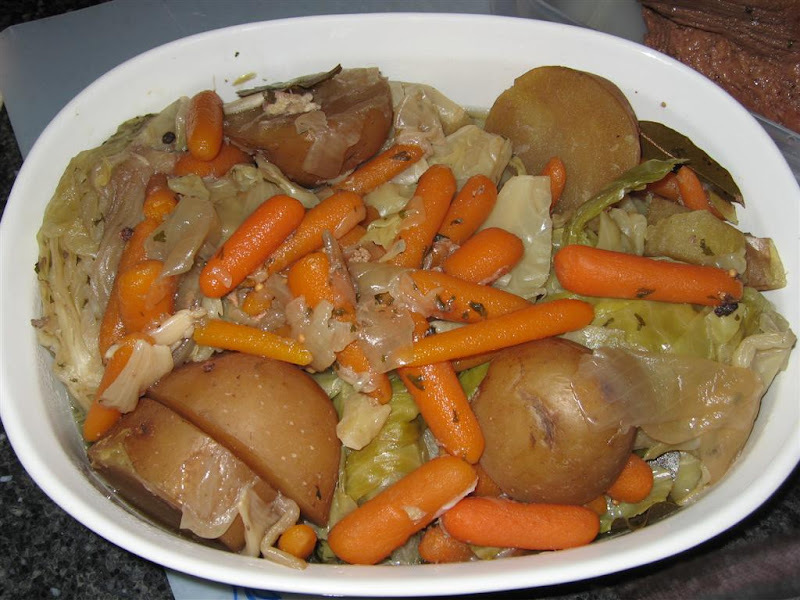 My only advice is that the cabbage got very soft and mushy because I left it in about 90 mins. That aside its a very easy recipe. Put everything in a pot and simmer for about 2 hours, add in the cabbage and simmer for another hour and you're done. 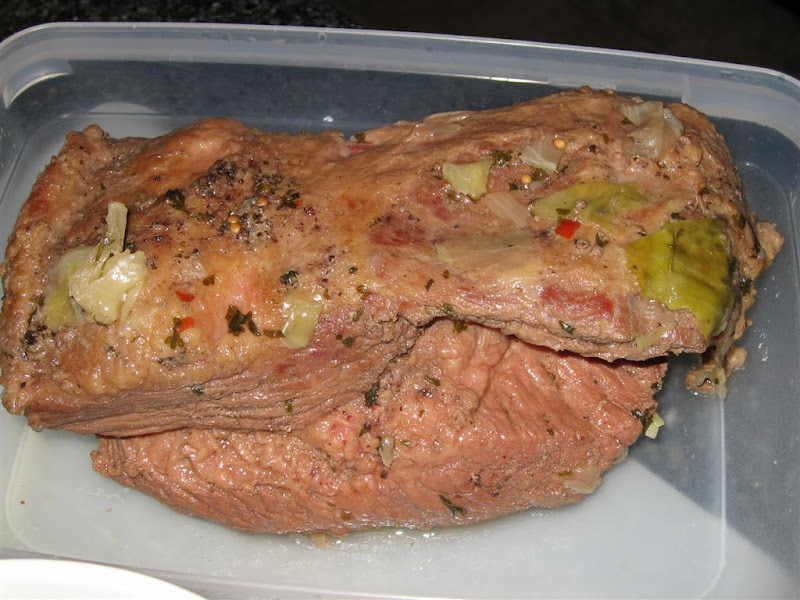 The beef was so tender, I loved it. The potatoes also came out very nicely. I'll definitely make this recipe again. PS. Everything was cooked in the same pot, the potatoes were taken after I had separated the veggies and beef. The Dungeons and Dragons (D&D) co-creator and legengary gaming pioneer E. (Ernest) Gary Gygax has died at the age of 69 from complications arising from past multiple strokes. A gamer all his life, Gygax started out like most kids playing strategy games such as chess and the card game pinochle, as well as others. His love for games found a different outlet in the late 1950’s with miniature war games like “Gettysburg.” His fascination grew to the point where gaming for him became an art form and then he found and fell in love with science fiction. 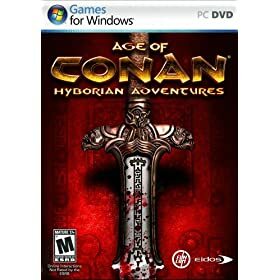 Thus was born his lifelong quest to develop some of the best genre-related gaming in the industry. In 1966, along with partners Bill Speer and Scott Duncan, he founded the IFW ( International Federation of Wargamers), an organization that served as an umbrella for various wargaming clubs around the country. This grew into publishing its own magazine on gaming, one of the first of its kind. Gygax helped to organize the first Gen CON gaming convention 41 years ago out of his basement. It is now one of the largest CONs in the world hosting events all over the globe. His skills as an organizer and game developer continued to grow until one day in the early 1970’s he and Dave Arneson created a tabletop fantasy role-playing game called “Dungeons and Dragons” (D&D), and the rest, as they say, is history. A variation of one of Gygax’s previous games called “Chainmail” and the sparsing together all that he knew about older war games, D&D became the fastest growing and selling RPG of its time, and it also sparked a ton of controversy from various religious groups in America, making the game even more appealing to its demographic of young, independent-minded gamers. It is safe to say the E. Gary Gygax literally changed the face of the gaming world with D&D, and at a time when board RPG’s were just finding their place in the computer-generated universe, D&D was the perfect fit and acted as the gaming world’s Magellen and Christopher Columbus — opening up vast new worlds and opportunities for the fast growing gaming industry and their marriage to the virtual world of computing. 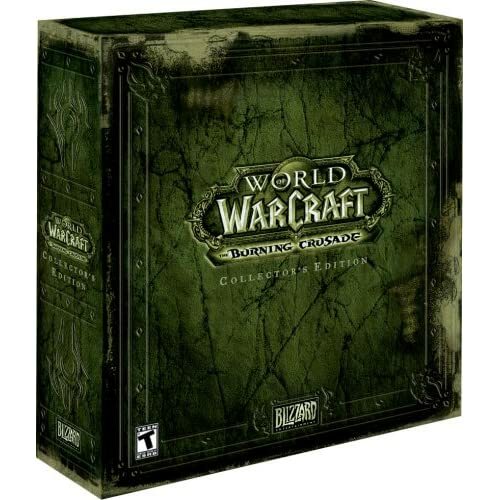 Even to this day D&D is still the best-known role-playing game, with well over 30 million people having played the game and more than $1+ billion (USD) in games, books and equipment sales worldwide. Its no secret that I'm a D&D gamer. 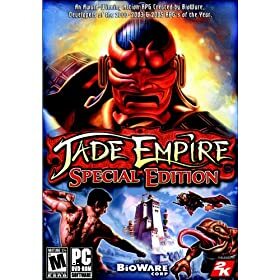 This man literally created a game that has influenced and permeated my entire life and the lives of millions of other Fantasy gamers. Although the fate of fantasy has greatly changed since he first created Dungeons and Dragons, it was the driving force for movies, books, computer games, comics, and all such media which consume our current lives. 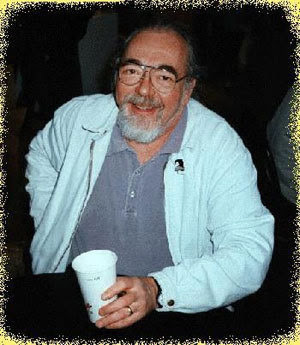 I had the great pleasue of meeting Mr. Gygax at Gen con 1997. He was Dm'ing a game of Dangerous Journeys, a new game system that he had created. And I hope that when I reach the age of 60, I'll still be as excited as he was to be a gamer. For truly, imagination knows no age. 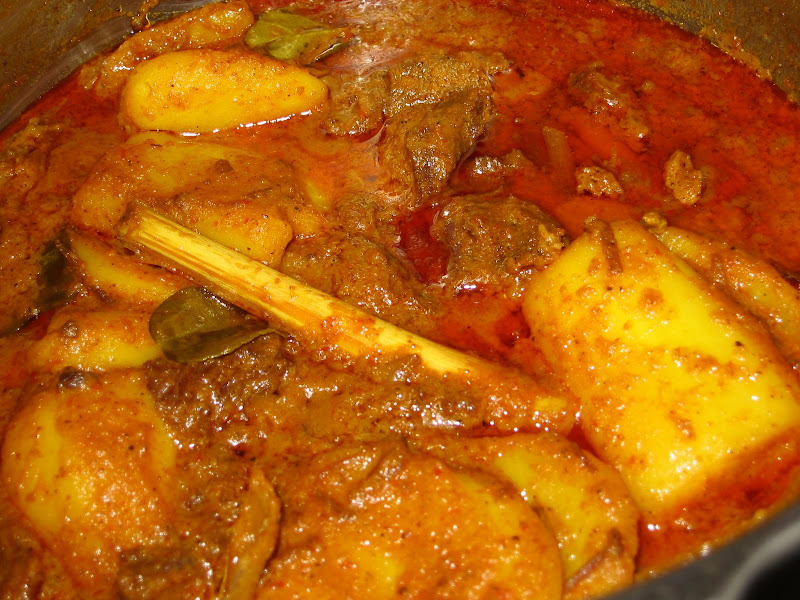 This picture of Rendang is sooooo awesome. Thanks to Lily's blog for this awesome picture and recipe. I listed the ingredients below, for cooking directions go to Lily's blog. Last Night was the finale of season 1 of The Sarah Connor Chronicles. 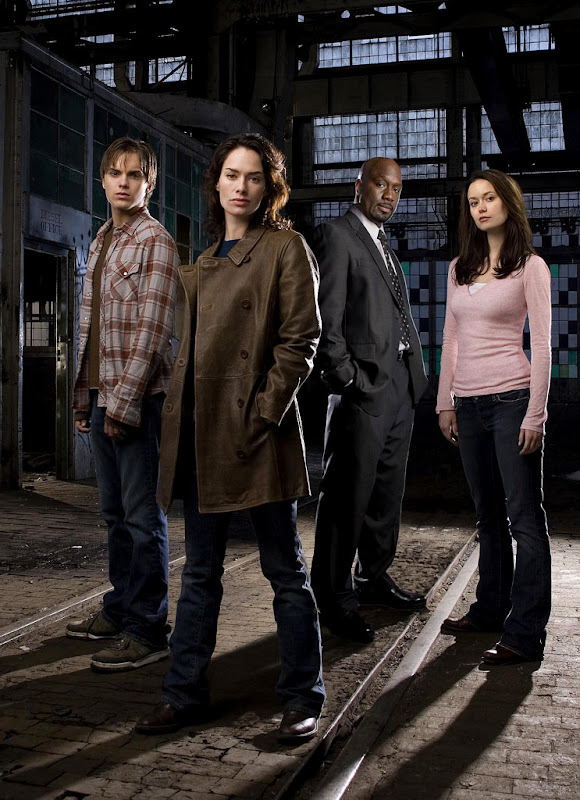 Because of the writers strike, season 1 is only 9 episodes, but I loved every one of them. If you're looking for a big loud shoot them up with tons of explosions then you're gonna be disappointed. This series is less about explosions (although there are many) and more focused on story/plot. I loved the series and especially the episode where we got a glimpse of what the future was like. Human living in sewers praying that Skynet would not find them, rebels engaging the cyborgs. I also love that we don't know if Cameron will eventually be the start of skynet. There are some hints of darker things to come but nothing concrete yet. Everyone of the cast is superb, I had reservations about Brian Austin Green (of 90210 fame) initially but he's turning out to be a strong character. The only person I dislike is the FBI agent James Ellison. I'm still not sure about his motivation and where he stands in the whole battle, but if the finale doesn't put him on Sarah's side, then he's a lost cause. I highly recommend The Sarah Connor Chronicles, and I hope they will somehow tie this series into the upcoming Movie Terminator Salvation: The Future Begins due out in 2009 and starring Christian Bale as the grown up John Conner. But for right now, Terminator is alive and well.